While I must admit that I thought the song list would be longer considering all of the hits Paul has had over the years, the familiar songs Paul chooses are songs that have been considered by many to be some of Paul’s poignant and prolific gems. “Our God Saves” starts off the album in great enthusiastic fashion as Paul exclaims amidst the driving electric guitars that God saves, both in our times of joy and in our times of need. A light electric guitar riff to bring the song into fruition as you hear the crowd and Paul sing spontaneously, “Our God Saves” is by far one of my favourite Paul Baloche songs and possibly one of Paul’s most underrated melodies. A song that encourages us to call on God any time we need, this anthem moves into a lesser known track (albeit known nonetheless) “God My Rock” into life, a song co-written with South African worship leader Brenton Brown. Originally on Brenton’s live album God My Rock released in 2012, this poignant melody is a declaration that God is indeed our rock and our help. With powerful drum beats and a melody anyone listening can enjoy and familiarise themselves with, Paul firmly states that ‘…You will stand when others fall, You are faithful through it all, God my rock…’ We are reminded that God is steadfast in all the circumstances we are in, and that whatever may come, we can rest assured of our identity in Christ. “The Same Love”, “Today is the Day”, “Glorious”, “Hosanna (Praise Is Rising)” and “My Hope” are all familiar with Paul Baloche enthusiasts (like myself) and all anchor a live album full of older songs that can bring the listener back to familiarity and comfort, as well as some new tracks that can enthuse the listener with a new song to sing before the Lord. While I do prefer Lincoln Brewster’s initial recording of “Today is the Day” because of its rousing and upbeat nature compared to the looping percussion present in Paul’s slower rendition, “Today is the Day” is nevertheless a gem regardless, as we are comforted in knowing that ‘…today is the day, today is the day, I will rejoice and be glad in it…’ “Glorious” brings to life a theme of us declaring glory and thanks to God, while “Hosanna” is a call for us to lay down everything before His feet and lift Him up with glory and splendour. It is also great to have Kathryn Scott on the live recording of “My Hope”, as we listen to both Paul and Kathryn declare that God is our hope and who we rely on, while the last familiar track “The Same Love”, the title track of Paul’s latest studio album, invites us all to rest in the fact that ‘…the same love that set the captive’s, the same love that opened eyes to see, is calling us all by name, You are calling us all by name…’ Familiarity gives us a sense of comfort as we listen, and I’m sure a great tactic from Paul to bring in more interest in the album- if all songs on there were new, I’m not sure if listeners may buy the album outright- it’s just a matter of songs you’d know on an album compared to songs you wouldn’t. Nevertheless, it does deliver a breath of enthusiasm as we hear songs we know and love delivered in a live setting. With the last new song being ‘He is Risen’, a co-write with worship songwriter Graham Kendrick and the second-to-last track, Paul presents a stirring account of the resurrection of Christ, and while I may not have chosen this melody to be Paul’s first single from the album (‘You Lift Us Up’ or ‘Mighty Fortress’ would’ve been more jovial), ‘He is Risen’ nonetheless has done a great job in conveying that ‘…He is risen, Hallelujah, hallelujah, Christ is risen…’ While not necessarily your most popular or well-known resurrection song, ‘He is Risen’ is sure to become a song that becomes one of the most popular Easter songs ever in months to come. A great job from both Paul Baloche and co-writer Graham Kendrick, ‘He is Risen’ is a personal standout from Live, and one of my favourite worship songs 2014 so far. 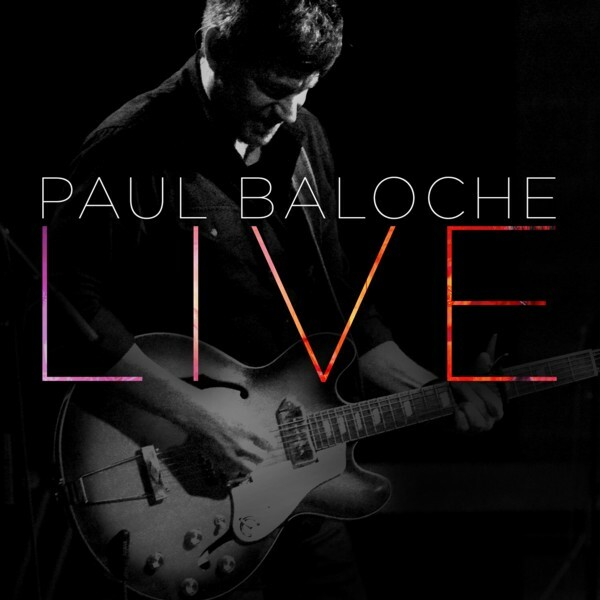 Paul’s latest musical offering is one that will please both Paul Baloche enthusiasts and lovers of worship music alike. While not necessarily the new studio album that I was hoping for, Paul’s collection of 11 tracks still bring us to appreciate not just his newer songs, but also some of his older beloved tracks we’ve been used to hearing for so long. While songs like “Above All”, “Open the Eyes of My Heart” and “Praise Adonai” were missing, Paul still delivers a powerful set list, and one that’ll always showcase some of the most underrated songs within CCM worship industry right now. Well done Paul for such an inspired and enjoyable album!